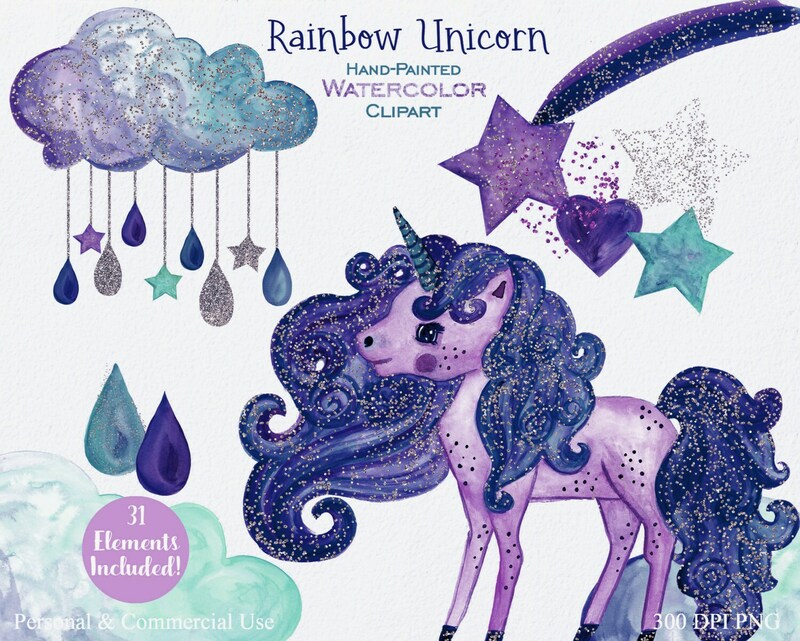 WATERCOLOR RAINBOW UNICORN WITH SILVER CONFETTI Clipart, AQUA, PURPLE, NAVY BLUE, 31 elements! 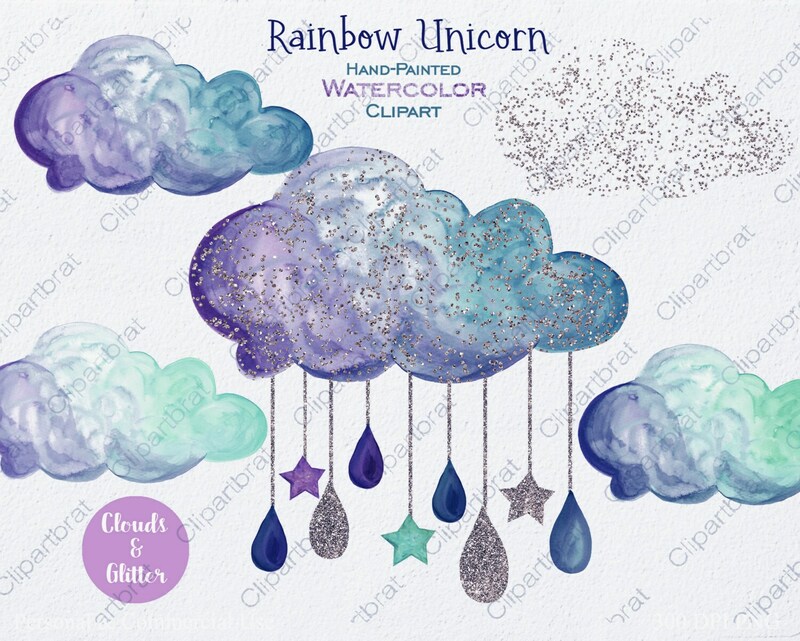 HAND-PAINTED Watercolor CLIPART - 31 elements- Stars, Rainbows, Rain Cloud, Clouds, Hearts & More - ALL Hand-Painted WATERCOLOR CLIPART ILLUSTRATIONS- Have fun creating with this set of WATERCOLOR RAINBOW UNICORNS!! For personal and COMMERCIAL USE! No strings attached! Our clipart can be used for anything, any purpose. No need to ask! 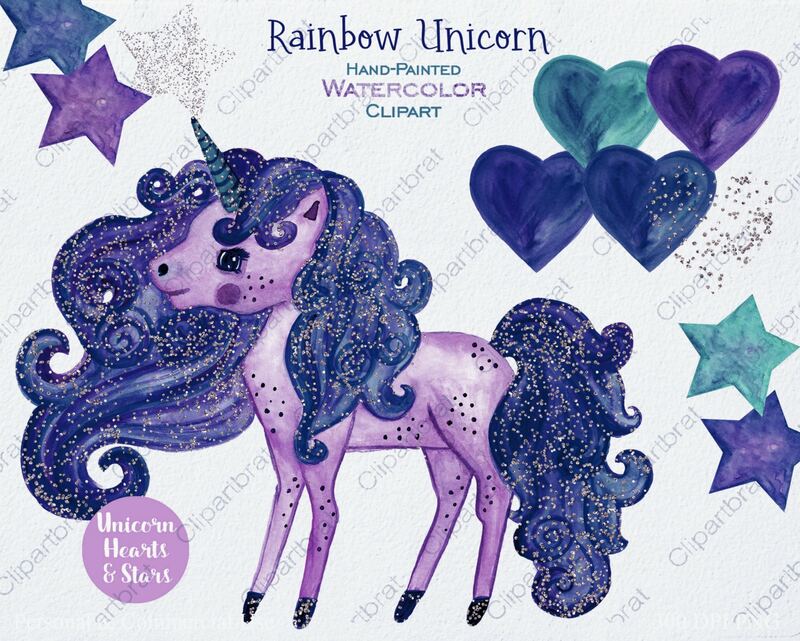 Large high quality digital Image of a WATERCOLOR RAINBOW UNICORN & OTHER HAND-PAINTED ELEMENTS. 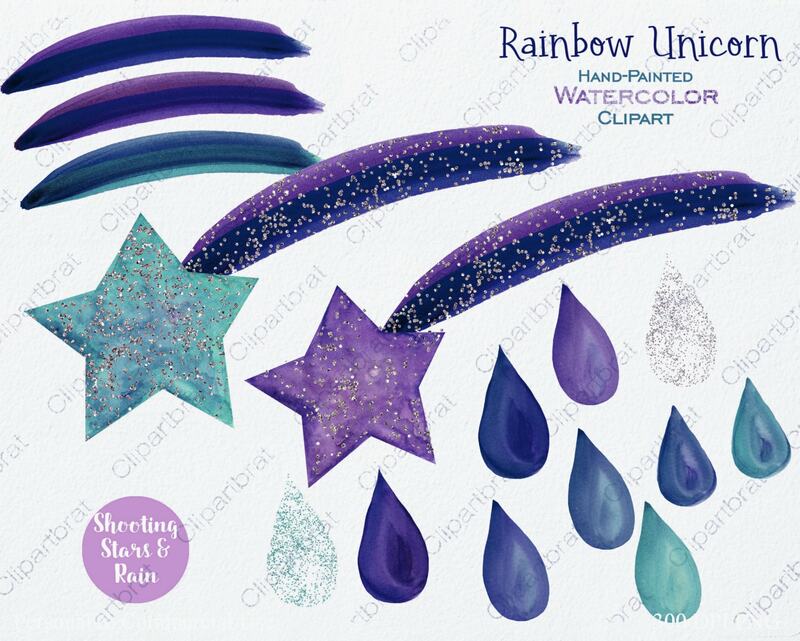 Printable Graphics for iron on transfers, Websites, Crafts, Cards, and more. All images are large, High quality 300 DPI png files. 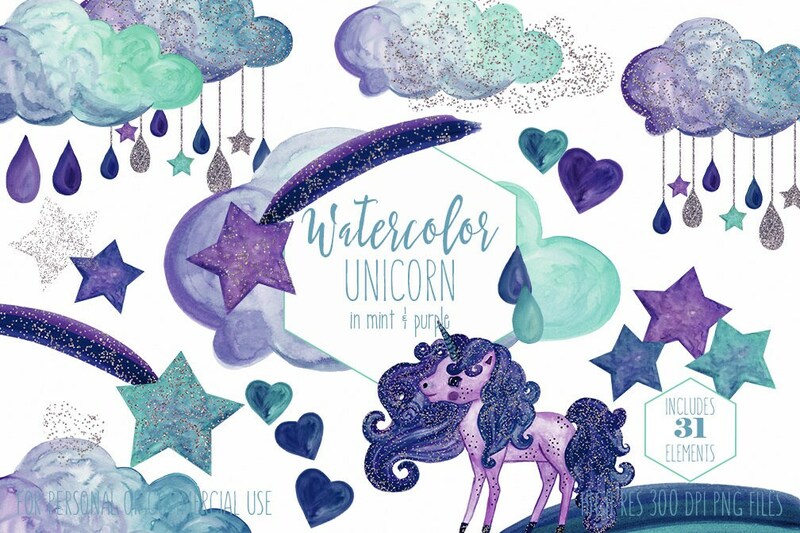 - 31 WATERCOLOR RAINBOW UNICORN elements shown in first 4 photos - 300 dpi PNG files, with a transparent backgrounds Large Images & Can easily be sized up and down as needed!